“RAFTS policy is that there is a general presumption against stocking of salmon for fishery enhancement purposes. A comprehensive body of scientific evidence, both national and international, confirms that enhancement stocking is largely ineffective and potentially harmful. The Board continues to undertake a limited hatchery operation for mitigation purposes. The success or failure of the strategy will be monitored closely by the Board (and the biologists) to ensure that resources are utilised sustainably and that no damage to natural spawning takes place. As the River Ayr has been suffering from poor juvenile stocks for the last few years, we have been researching possible causes for this problem for some time. In order to determine what life stages are most affected, we decided to plant egg boxes out at key points across the catchment to pinpoint any areas that are failing. This may well tie up with our chemistry and conductivity research that ART have assisted with since September. 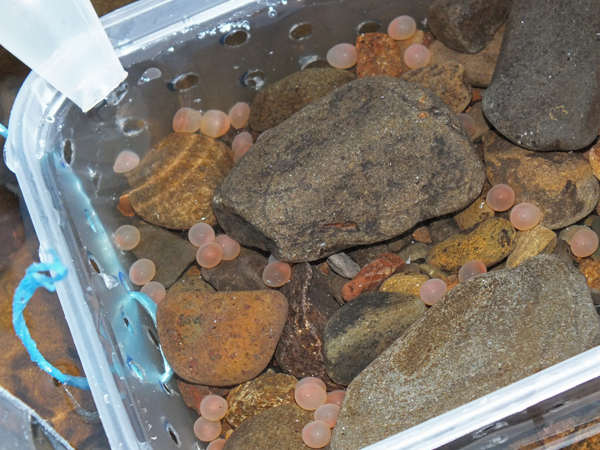 We placed 100 salmon eggs in each box and then buried them in artificially constructed redds. Each box is marked with a trailing string to help us relocate the box when we return in the spring to determine egg survival. 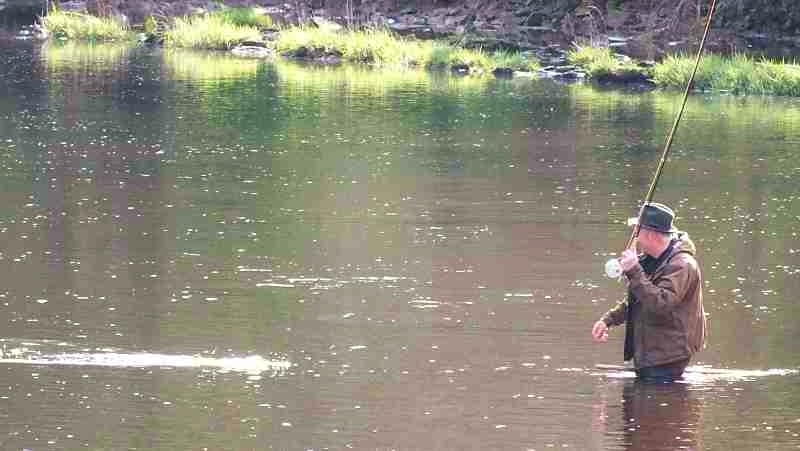 We had planned to do this on the day that the eggs were stripped from the fish as they are fairly tough at that point but unfortunately high water prevented this. This was the first opportunity since the fish were stripped about two weeks ago to carry out the planting however the eggs are now very susceptible to any vibration and die quickly from the least knock. We counted eggs into polythene bags filled with water and then floated them in a bucket of water. This method reduced the chance of damaging the eggs however some did die off. They very quickly turn white and these were removed and replaced with health eggs at the time of planting. 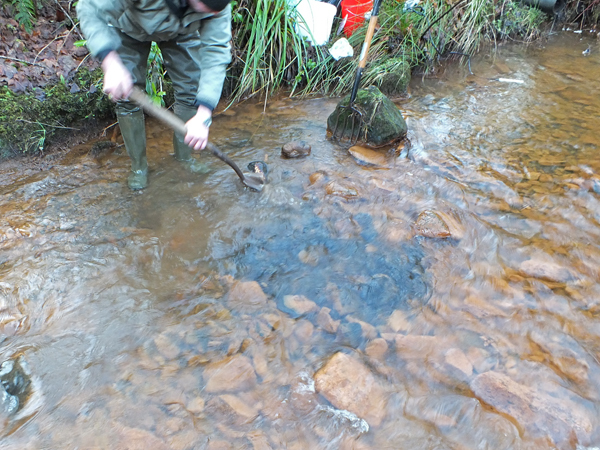 We braved a very cold but lovely day to help and we completed 17 sites across the upper catchments. Some are in polluted areas and others are in areas where water quality is excellent to act as controls. See the results of the trials here. This is a burn at the top of the Ayr. What chance can eggs have here?…. well to be fair we shouldn’t make any assumptions and will have to wait and see.